Incorporate a dazzling and exquisitely designed side chair into a modern or traditional space thanks to the Karl Side Chair. With its soft leatherette over foam seat and back, the side chair makes it easy to sit comfortably for hours. Also, the side chair's brushed stainless steel base delivers tremendous support. Select a side chair that offers an unbeatable mix of style and function � the Karl Side Chair. Leatherette over foam seat and back are plush and durable. Brushed stainless steel base offers exceptional support at all times. 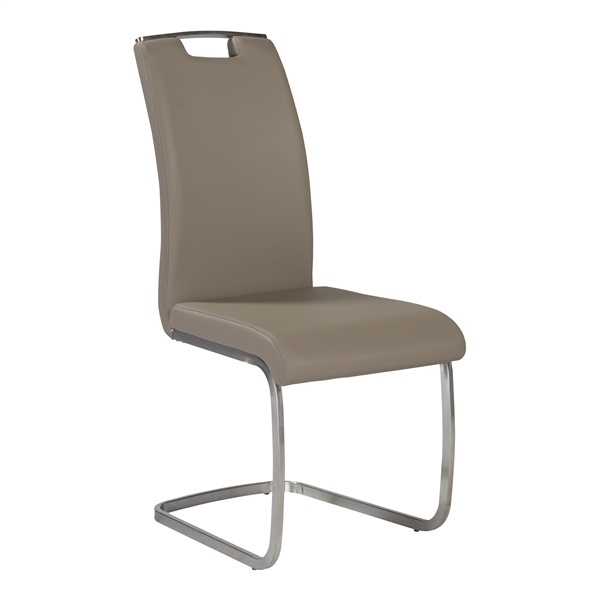 Brushed stainless steel top handle adds to the side chair's visual appeal. Timeless design makes the side chair a great selection in any home or office.